Mark you were obviously not watching the footie last SATURDAY night if you still think we can win it , NOW that would be the miracles to end all miracles but then again you never know we can all dream!!! Please tell me this is being hard boiled and kept as an offical mascot? Sorry Damian – we did in fact eat it! (Jane and Niall turned it into a rather miraculous omelette. Mmmm.) But even so, Louise, England are going to win the World Cup! Has anyone followed up the ‘possibly related posts’ (automatically generated) listed before these posts? This is indeed proof that the internet is as unreliably weird as real life. But back to the egg… I wish we had boiled it! Pickled it! Preserved it in aspic! 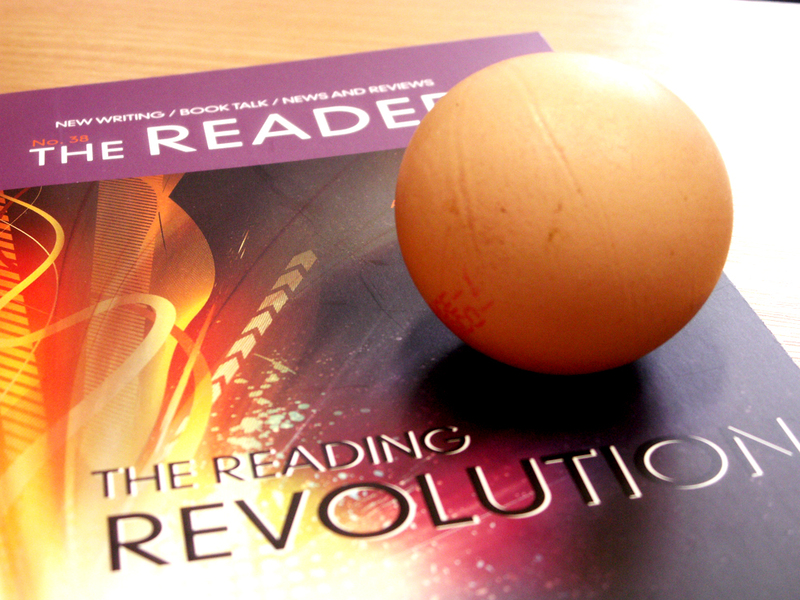 Developed the Reader Round Egg World Cup Museum….anything but eat it… and yet there’s a theological precedent for such eating – its the spirit of the egg that matters, not the form/letter. Finally, the round egg has generated more comments than possibly any other posting on the reader blog, which says something. Previous Previous post: Sonja Sohn (The Wire) visits TRO!